While I was in the thick of caring for Mini I wanted to share the delights but also the reality of dealing with an aging and sick dog, but I somehow couldn’t do it. Maybe I felt it would jinx how well she was doing; then, in the last few months when her care was fairly constant (I did not leave her more than 4 hours without someone checking in on her) the worry that I was not making the right decisions for her was almost overwhelming. After I lost her, it was difficult to come to grips with my new reality, and it seemed that writing a blog was going to trivialize her. It has been 6 months now since we said goodbye to Mini, and now the time feels right. I don’t want to forget what it felt like, and how all-encompassing it was. I learned a lot about treating geriatric patients from a good friend who is an internist in the human field. She’s the first one who talked about the necessity to take a few days to rehydrate older human patients (the “tea and toast” set in her field) as their old vessels are fragile and typically can not handle the type of volume that younger patients can, that their metabolism changes and they do not tolerate medications as before and that their systems, in general, slow down and this all has to be taken into consideration when devising treatment plans, at home and in the hospital. In her last year, our hospital’s own critical care specialist Dr. Carsten Bandt was able to nimbly walk this spiderweb-thin tightrope of iv fluid titration whenever Mini needed to be hospitalized. 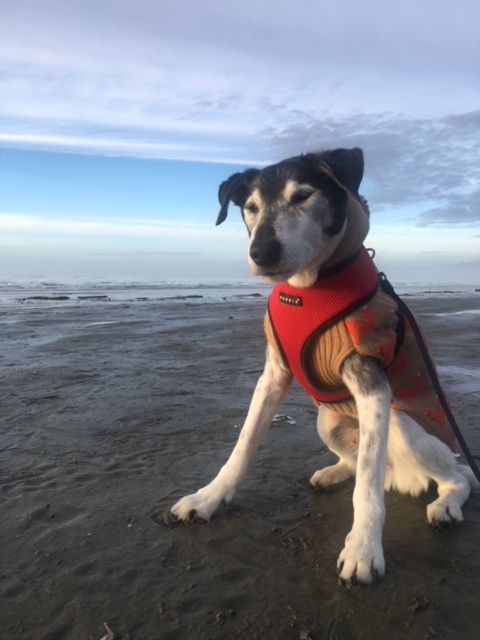 Thanks to his background as an internist prior to going on to critical care and dialysis, he understands the fine line between overhydration and dehydration in old sick dogs, and how little it takes to overload them. Basically, it’s a tablespoon of fluids either way! 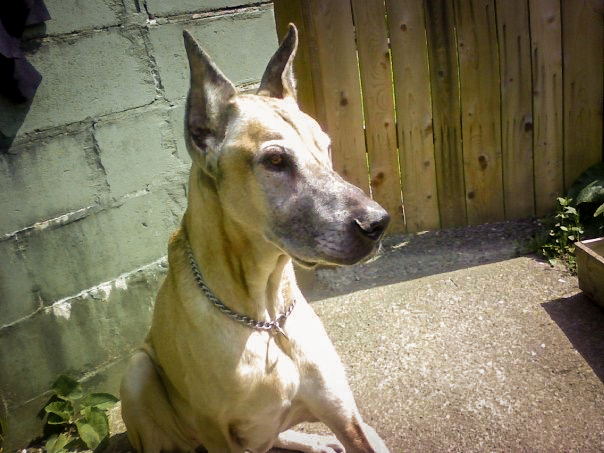 My experience benefited my dog as a patient, but even more so it benefited me as I was able to enjoy her company for 4 years after her cancer diagnosis. Despite the fact that she had an aggressive tumor, she did well after her radiation; her cancer remained in remission and she adapted to going blind. In the end, her cognitive decline and intestinal and kidney issues became the main deciding factors. It was gut wrenching. Over her last few months, I constantly debated what the best option was for her and I worried the end was near and I wanted to control the environment. Some colleagues suggested I was waiting too long to let her go, but no one knows a patient as well as their family does. While she may have looked confused to someone who didn’t live with her, we understood her rhythms and she still enjoyed our company and her routine, although her life “bubble” had considerably shrunk. To be technical, she still had good quality of life. But, still I agonized, because the problems were multiplying and she was easily confused. She didn’t like going to the hospital and I didn’t want her last moments to be a rush to the hospital in an emergency for euthanasia there. Despite being a veterinarian for 30 years, it was still hugely difficult for me, trying to make the best decision despite not wanting to make it. My hope is that some of you who find yourselves in the situation of caring for an older pet will find some tools and strategies in this series that can assist you during a challenging time.